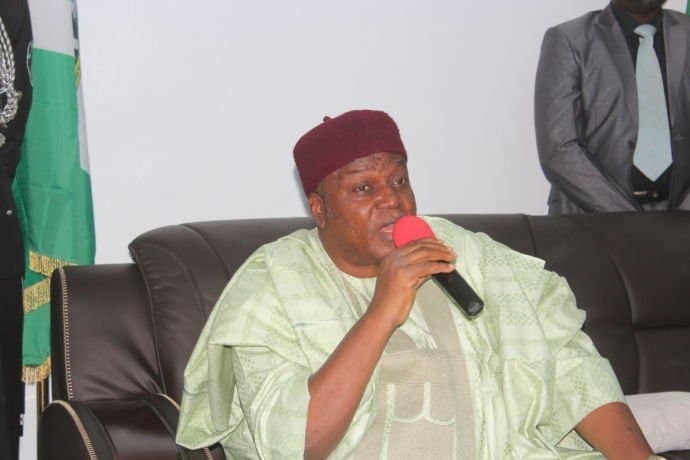 ​Taraba Governor, Darius Dickson Ishaku, on Tuesday appealed to youths in the state to support his second term bid. Ishaku made this call during his third year anniversary and Democracy Day celebration held at the Jolly Nyame stadium Jalingo. “Today, over 3000 youths have been employed and thousands empowered through the Rescue Mission’s skills acquisition programme. Speaking further, he said apart from tourism, he has achieved tremendously in all other sectors including agriculture, education, health and infrastructure. He also added that the Nigerian Medical Association gave him award because of the hospital he built in Wukari and the ongoing reconstruction of the hospitals in Bambur and Gembu.